Have you ever wondered among all the furniture we use daily which one is the most used furniture? Undoubtedly chair is the most used furniture widely across the globe. Modern lifestyle demands comfort everywhere. That’s why inventors have created an end number of comfortable chairs using today’s technology. Do you know how many types of chairs are available in today’s market? Can you make a guess? I’m sure you haven’t guessed more than 50. But trust me; there are more than 100 types of chair available today. So folks, if you have the time and interest about chairs then this article is for you. In this article, we are shortly going to discuss some of the types of chairs that people mostly use around the world. We are going to know about those chairs and their uses. Before that, I want to say something. Chairs became available or common after the 16th century. Before that time, people used to sit on stools, benches, on their knees and also on their chests. Chairs existed in the early dynastic period of Egypt. They were made of wood which was curved and apparently much lower than modern chairs. So, after that, many types of chairs have been invented. They have different size, height, weight. Technology has been advanced. Now plywood, MDF (Medium Density Fiberboard) and stainless steel are being used instead of just wood. Now we are going to discuss the types of chairs. The armchair is kind of home chair that expresses your style in the home. This kind of chair gives a comfortable sitting and extra traditional style. Only one person can sit in this kind of chair, unlike couch. This chair provides your living room ultimate beauty and extra sensation. Here comes the updated version of the armchair. It is believed that Napoleon Bonaparte first had it. Now the time has changed, so has the things. These chairs are softer than the armchair. It has a backrest which can be tilted according to your wish and its limit. A footrest is also provided in some recliner chairs. The independently adjustable headrest, good lumbar supports are given as per your choice. These chairs are upholstered with soft leather. This chair is good for sleeping. Many of this kind of chairs offer wheelchair assistance. Loveseat chairs are a bit different than other chairs. Most of the chairs are only for one person but these loveseats are made for two people at a time. This chair has been designed in a rounded shape so that, whenever two people sit, they can feel pretty close and face each other. Some chairs are made big enough for two people without touching themselves. There are many designs of loveseats. This chair will give you more beauty, classical modern look in your living room and most importantly this chair will affectionately intensify the psychological relationship between you and your partner. But there are some other variables. You can try them too. Club chair is much comfortable ergonomically designed and stylish for modern living. Most of the chairs are nicely upholstered with leather and many comfy materials. This chair was first used in England’s Gentlemen’s club. These chairs are very good for clubhouses or for the living room. If you want to add extra attention to your living room you can buy one of the contemporary round chairs. This chair has a big space for one person to sit on. The shape of the chair will encourage anyone. It comes with all kind of leather like suede. The width of the chair can be around 58 inches and depth around 30 inches. You can use this chair to relax as long as you like. For that, you can call it snuggling or relaxing chair. During the 1700s, the Ottoman Empire used the ottoman chairs. This chair is kind of a stool. It was made as secondary chair or furniture to fit into any corner of the room. This stool was much smaller than the present. This chair could be semicircular or square shaped. You can use this chair as a stool, footstool. Smooth and plain surface give ultra comfort. This chair has no backrest, headrest. For that, you just can’t lie back. Wishbone chairs are mainly used in the dining table. It was the mid-century when it was used for the first time. This chair is made of wood with comfy cushioned foam. The curved nature of this chair will give you some extra support. There are colors available for this chair from all kind. This chair is around 20 inches wide which makes it a perfect dining table chair. Don’t be afraid of the name of this chair. Bring back attention to your dining. This kind of chair has an ultra-modern style that creates a perfect beauty. You can find these chairs both with arms and without arms in the market. The main body of this chair is made from both wood and metal. If you want to stylize your dining this will help you out. A person in these modern days has to work most of the time of the day. Working all day long in a chair is a bit tough for everyone. The desk chair is a kind of chair that will help you out in the first place. These look like an executive for office. These chairs are designed only for office use. Usually ergonomic on the surface area is good for your body. These chairs have clusters for you to move around the table. Gaming chairs are the most exclusive chairs in the world of gaming. Gamers are the busiest person in the world as I am a gamer. I know how you feel while gaming. By the way, gamers need a more comfortable chair to sit on. Because whenever anyone is in a game, tension works around the whole body. 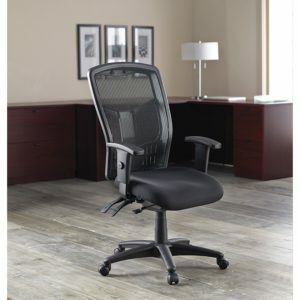 An ergonomic chair can relieve stress from the body. Smooth leather is used on the surface of the chair. Fluffy cushioned sit can be very warm and nice for gamer while gaming. Chairs are one of the most important furniture for all of us. There are many more of them available for other uses. We have just discussed the mostly used chairs for us in daily life. There are more of them. These chairs that we have discussed will be useful to you in the long run. Till then, take care. Sayonara!